Unlike processed mayonnaise this must be used within a day or two. Although tough on the arm, it’s well worth the effort. Place the egg yolks, mustard and a pinch of seasoning in a glass bowl. Whisk with a balloon whisk and slowly add the oil, little by little in a thin trickle. 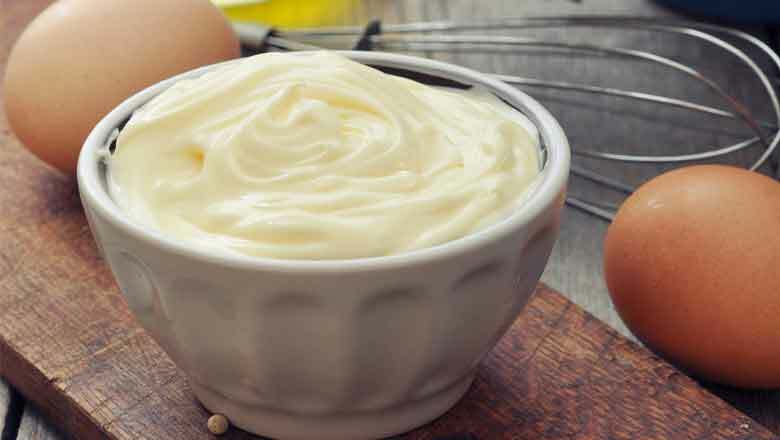 As the mayonnaise thickens, add the oil in a more steady steam whilst continuously whisking. The mayonnaise is ready when it is thick and glossy. Add the lemon juice or white wine vinegar and taste, add more seasoning if required. Store in the refrigerator until required.